If you want to have more DRIVE and success, as well as tools, strategies, and confidence to change your life, this podcast is for you. Host Shirley McAlpine uses her 28 years as a coach and consultant to bring you the lessons of women with DRIVE through inspiring interviews. 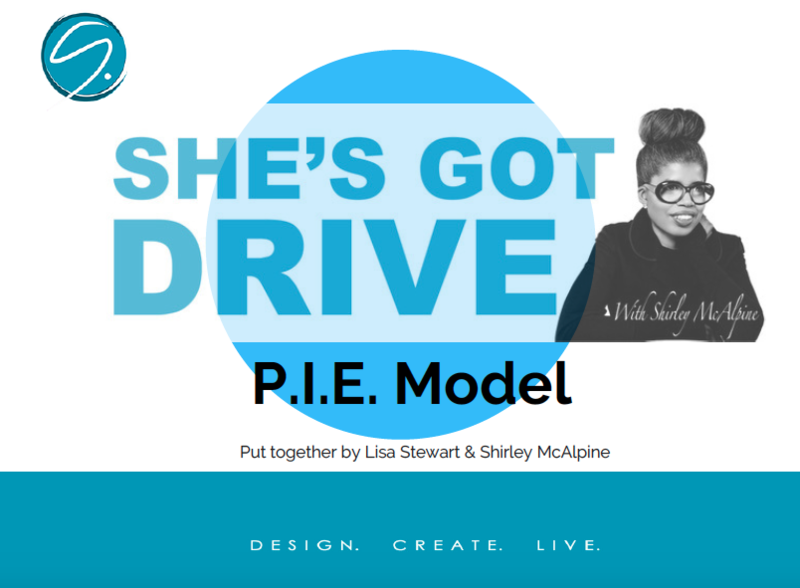 Connect with Shirley and the She’s Got Drive community. Tune in to our most popular podcasts. Cynthia Mullins Legal counsel and Chief Human Resources Officer for JMW shares about the transfromational impact that her volunteer work has had on her life and when she was able to reclaim herself in her life. Kamilah Forbes, awarding winning producer and director, and Executive Producer of the Historic Apollo in Harlem shares why she took on this role, her vision for the future, what motivates her every day and what becoming a mother taught her about herself. "I have to say She’s Got Drive is my go to podcast. Each interview is full of so many jewels!" "I have incorporated so much of what I’ve learned into my everyday life. I encourage you to have a notebook out when you’re listening!" "A must listen for ALL women (and probably men too!) If you are stuck, looking for motivation, inspiration or a destination then this amazing podcast will help you get there!!" "I’m loving this podcast, the different backgrounds of the women interviewed keeps it interesting. Their stories and practical advice keeps on inspiring!" "Shirley is an incredibly inspiring woman and here she does an amazing job of curating other inspiring women." Ready to Live your Life by Design and not Default? Tune in to our latest podcast episodes! live your life by design and not default. Dont miss out! Subscribe through your favorite channel!